These 7 Railways Stations Bagged ‘India’s Most Beautiful’ Tag & Won a Cash Prize! Indian Railways’ in-house contest for the country’s most beautiful station found a winner in Maharashtra’s Chandrapur and Ballarshah junctions. Madurai, Madhubani, Gandhidham, Kota and Secunderabad also made it to the coveted list. The Indian Railways launched the “Swachh Rail, Swachh Bharat” campaign in 2015, to raise the cleanliness standards of stations to improve the travel experience for passengers. In 2017, as a part of this campaign, it ranked 407 largest revenue-generating stations, based on their cleanliness and sanitation situation. This year, as an add-on to this campaign and in an attempt to combine recognise creativity, and its importance alongside cleanliness, the Railways proposed a new competition—an in-house station beautification contest. According to a news report in the Hindustan Times, a total of 62 entries from across 11 railway zones were received by the railway board, and the winners were selected from this pool. The first prize winners will receive Rs 10 lakh, while the second and third prize winners will be given Rs 5 lakh and Rs 3 lakh, respectively. Two stations in Maharashtra—Chandrapur and Ballarshah —won the top honours, and have been adjudged the “most beautiful” stations. Both stations are part of the Nagpur Division of Central Railway. Artists adorned the stations with paintings and sculptures depicting local tribal art and the wildlife at the Tadoda National Park, using fibre casting and round sculptures. You may also like: 1,500 Railway Stations Will Soon Have 1 Lakh Steel Benches Paid for by Local MPs! Bihar’s Madhubani station, under the East Central Railway which features stunning artwork by local artists, and Tamil Nadu’s Madurai station, which is under the Southern Railways, which also depicts popular scenes from local culture on its walls, received the second prize. Once looked upon as one of the dirtiest railway stations in India, Madhubani station now sports a completely different look thanks to 200 Artists from Mithila who gave it a makeover with their traditional style of art. Interestingly, the exquisite Madhubani paintings are traditionally created by groups of women. See more photos of this gorgeous station here. Similarly, the walls of Madurai junction were given a facelift by local artists painting murals onto them. One of the murals in the air-conditioned waiting hall of the Madurai station depicts a scene from the wedding of Goddess Meenakshi, at the Sri Meenakshi Amman temple. In it, she is being given away by Lord Vishnu to Lord Sundareswarar. The third prize has gone jointly to three stations— Gandhidham in Gujarat, Kota in Rajasthan and Secunderabad in Telangana. The paintings in the Gandhidham station depict a mix of the culture of Gujarat and Kutch and bring alive its rich heritage on the walls. On the other hand, the Secunderabad station has been decorated with beautiful Cheriyal scroll paintings. 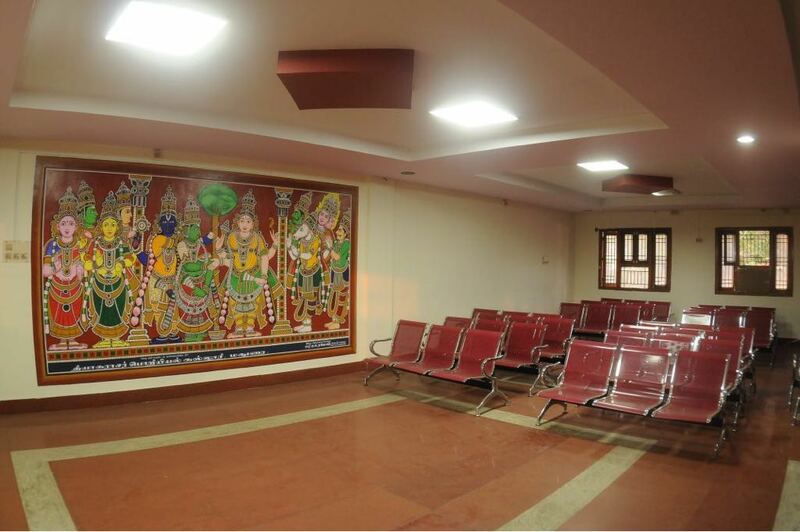 These paintings, which welcome passengers at the two entrances of the station and adorn walls of the platform and the waiting hall, derive their lineage from the Cheriyal village near Warangal. This is an endeavour by the South Central Railway to revive public interest in them. Interestingly, Secunderabad was also India’s first railway station to bag the coveted ‘Green Railway Station’ tag given by the Indian Green Building Council – Confederation of Industry (IGBC-CII). Read more here. As for the Kota station, its walls are graced by the unique Kota-Bundi style paintings that remind travellers of Rajasthan’s royal past and spectacular heritage. From shikar (hunting) and musical jamborees to courtroom activities and royal processions, these elaborate paintings have been made by artists who have been practising and promoting this art for generations.